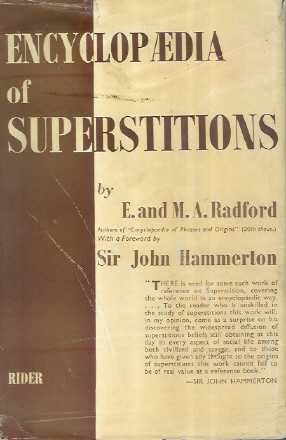 Kalahari Books - Encyclopaedia of superstitions. Home Kalahari Bookstore Spiritual Encyclopaedia of superstitions. Author : Radford, E & M.A. Publisher : Rider and Company. Hardback reading copy in good condition.